MAMP – Introduction | Eureka! The default Apache and MySQL port is 8888 and 8889 respectively. The Apache webroot is located at /Applications/MAMP/htdocs and the corresponding url is http://localhost:8888/. 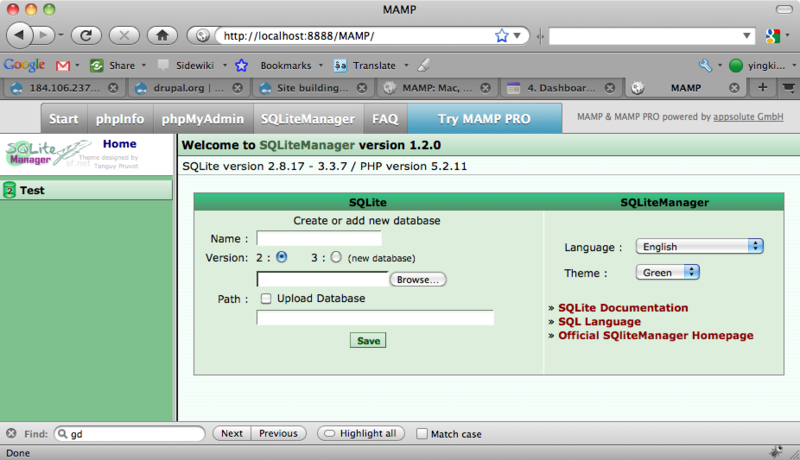 In the MAMP web admin interface, you can run the phpMyAdmin and the SQLiteManager to manager all your databases.